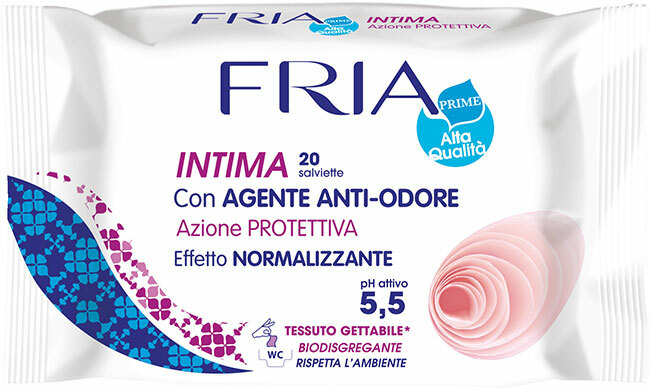 FRIA INTIMATE wipes with RELIEVE COMPLEX and FRIA INTIMATE wipes with Odour Neutralising Agent. Both products are made from a disposable, BIODEGRADABLE fabric in respect of the environment. 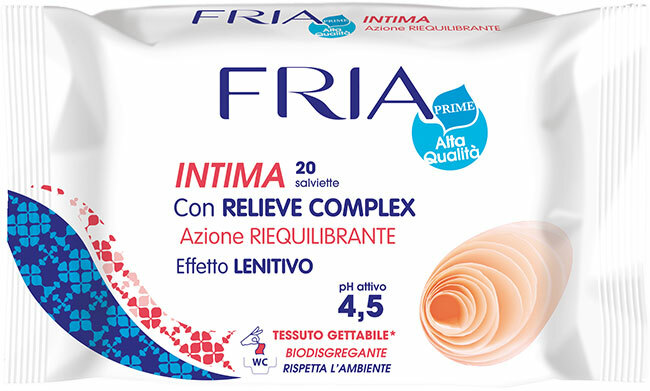 long-lasting soothing effect, leaving a pleasant sensation of freshness. The soothing effect has been confirmed by testing in use at specialised laboratories. wipes delicately cleanse, leaving a pleasant and long-lasting sensation of freshness and wellness all throughout the day.